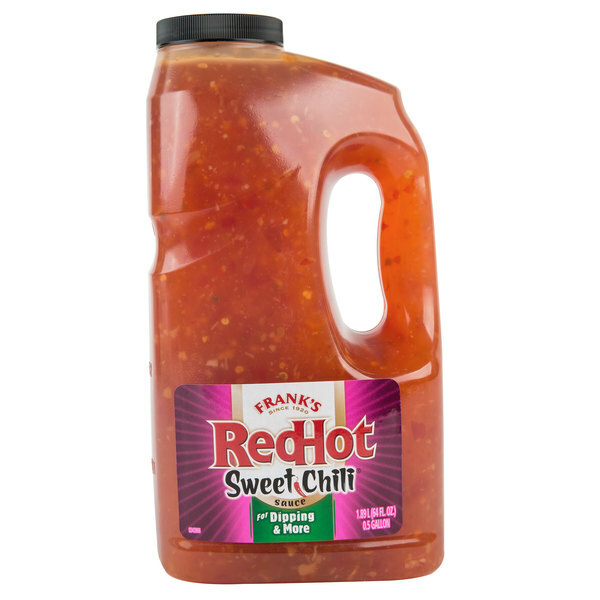 With a tantalizing, tangy taste, Frank's RedHot 0.5 gallon sweet chili sauce is an incredible addition to any menu. 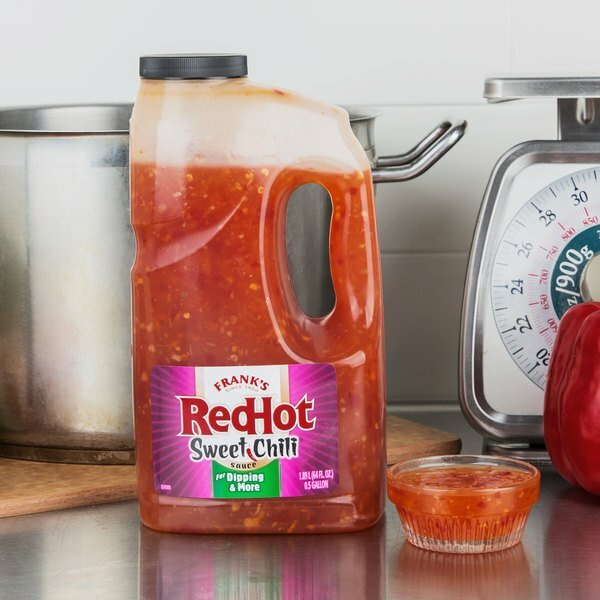 Sweetened red chili peppers create a zesty, but mild flavor that's perfect for the customer craving for a conservative kick of heat. For texture, the sauce is speckled with pieces of chili pepper, giving it a satisfying, pulpy consistency. 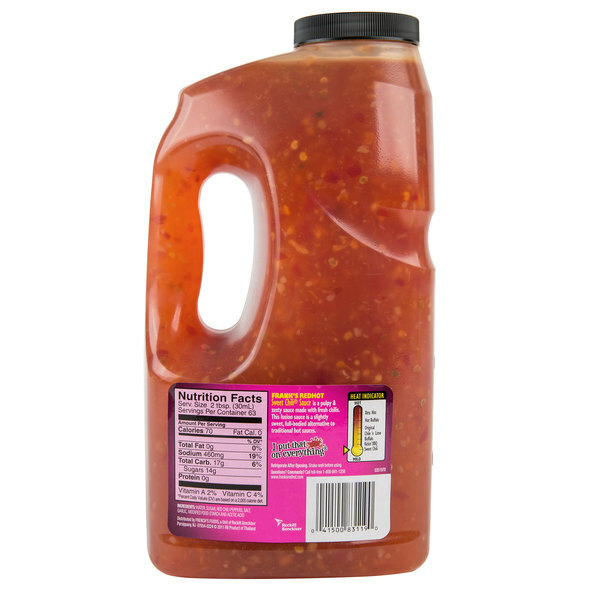 Use this sweet chili sauce to glaze salmon or steak or to spice up fish tacos or pork sliders with ginger slaw. It's an especially mouthwatering addition to buffalo chicken dip, great for game day or Friday-night bar fare. 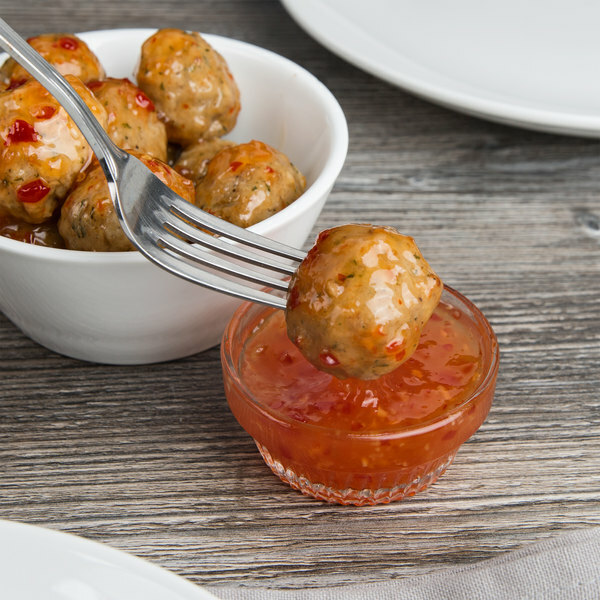 To keep things simple in the kitchen, simply serve the sauce in a small dish with an order of chicken wings or a hearty, meatball appetizer. Amp up your presentation by pairing it with an assortment of other Frank's RedHot sauces for a bold variety of flavors. However you serve it, this sauce provides the ideal combination of sweet and spicy, an addicting duet that's sure to become a customer favorite. Employing the industry's most experienced and knowledgeable individuals to formulate, blend, and craft their sauces, Frank's RedHot ensures quality products with the perfect balance of flavor and heat. It's this dedication to consistency and quality that has rightfully earned them the title of the #1 hot sauce brand in America. Frank's RedHot continuously expands its product offerings, expanding to include bold global flavors, perfect for flavoring wings, sandwiches, pizza, and wraps. With Frank's RedHot, the possibilities are endless for creating authentic and unforgettable flavor. I love a good sweet chili sauce for dipping wings. Franks Red hot has the heat I like and a very good sweetness. It isn't too spicy.